Crazy rummy is well ... a crazy variation of the classic game of gin rummy. This game can become a Sunday night family staple in your home and is suitable for just about any age. Deal the cards. Crazy rummy works in phases. Each hand that is dealt is based off of what number or face of card you are on. So for example, you start with threes. You deal out three cards and threes are wild. You progress to four and then to five all the way up to King. Jack is the 11 card; the Queen is the 12 card and the King is the 13 card. Learn the goal. The goal of the game is to lay down all of your cards. You do this by sets of different suits or runs of the same suit. The difference in Crazy Rummy is that you can't play off of other people's hands. You also cannot go out until you can completely set down all the cards in your hand. So, for example, you are on fives. You would either need to have a run of five cards in the same suit or five of one card. A run must be at least three cards and must be the same suit. Play the game. The game starts with the person directly to the right of the dealer. Each player, on his turn, has the chance to either take the card that has been discarded to the deck or draw a new card from the pile. Unlike regular rummy, you cannot take anything else off of the deck but the top card. The game keeps going around until someone can lay down all of his cards. After someone "goes out" then the game play goes around one final time until each person has had one more turn to go out. Learn the scoring. If someone goes out, he gets zero points. Anyone can go out on his term after the first person has gone out and he, too, will get zero points. 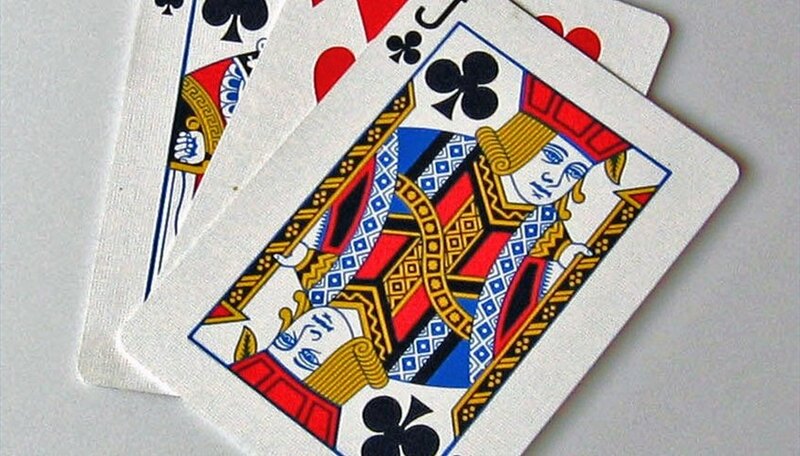 Any other cards in your hand count as their number value with aces being one and Jacks, Queens and Kings, being 11,12, and 13 respectively. The goal is to have the least amount of points.The player with the least amount of points wins. You can also play with Jokers as wild if you want the game play to go quicker.